Support Shetek and have fun! 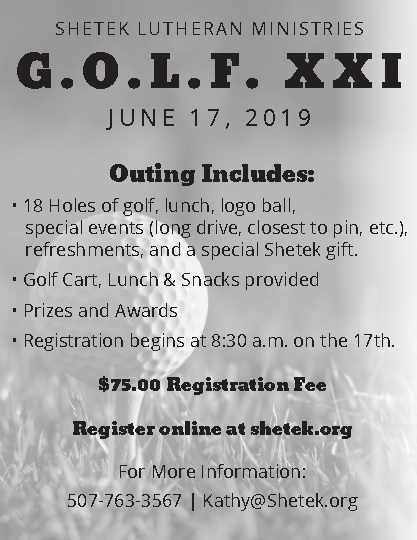 Join fellow golfers at the Slayton Country Club on Monday, June 17, 2019 to support the ministry at Shetek. We’ll begin the day with rolls and coffee at 8:30am along with a putting contest. Shotgun start at 9:30 and lunch is included (on the go) during the 18 holes. Prizes and refreshments at 3:00pm.